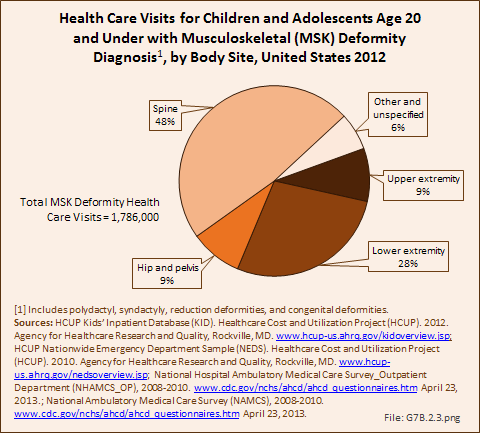 Quality of life assessments in children and adolescents that allows better measure of the personal impact of pediatric musculoskeletal disease is lacking. 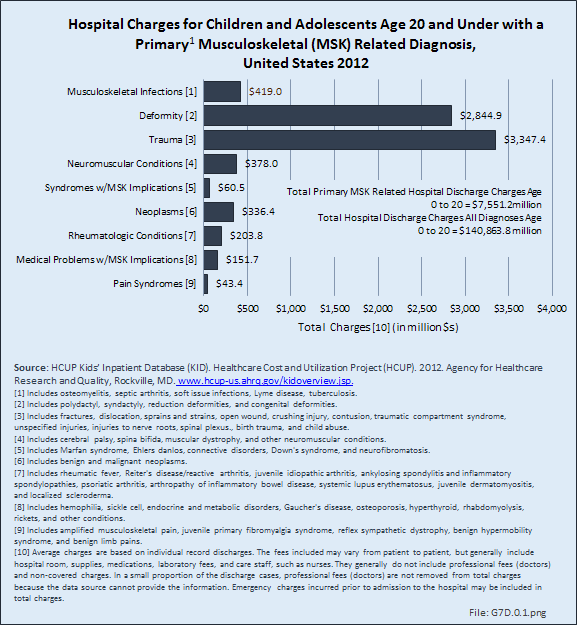 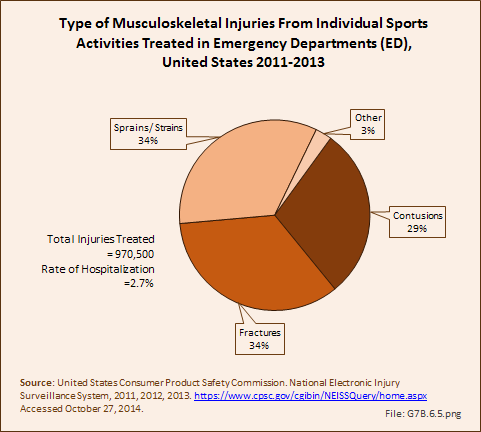 In assessment of musculoskeletal disease for adults, lost wages and lost workdays are used to quantify burden. 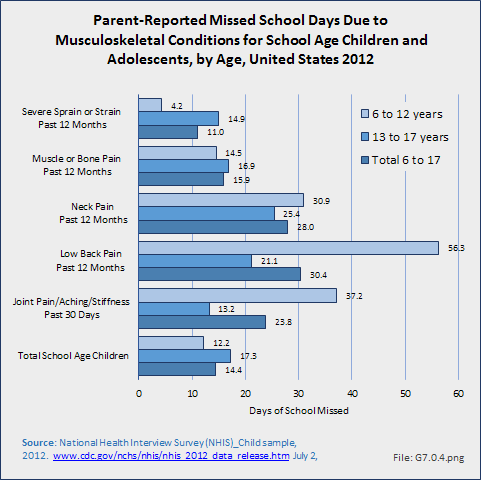 There is no corresponding way to measure burden in children. 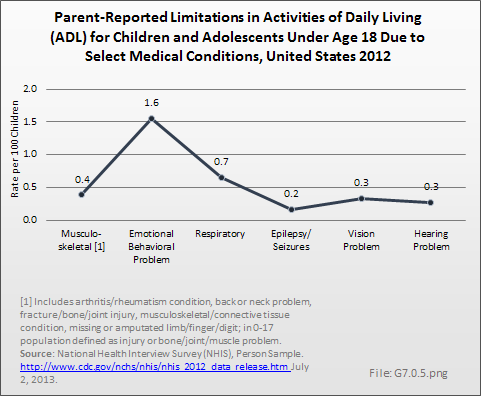 Currently, it is quantified indirectly by measuring lost wages and lost workdays for the child’s caregiver. 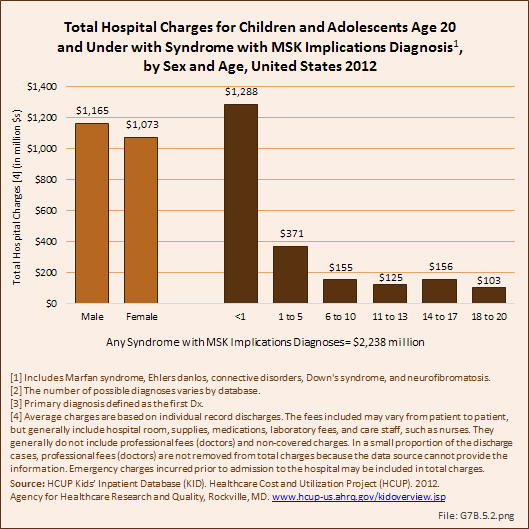 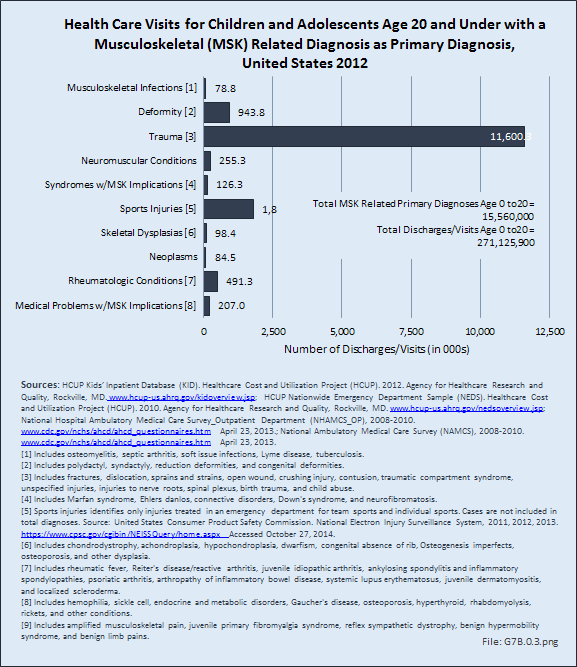 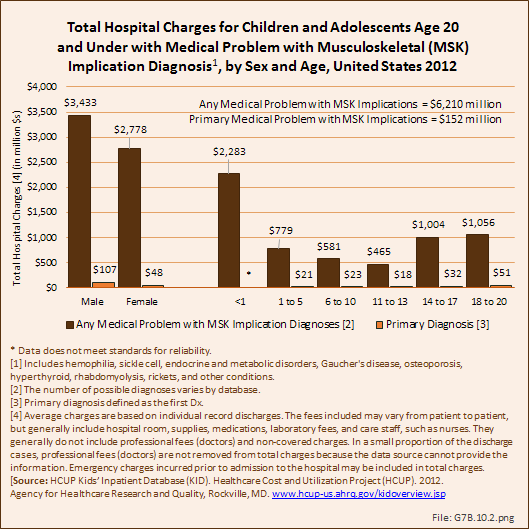 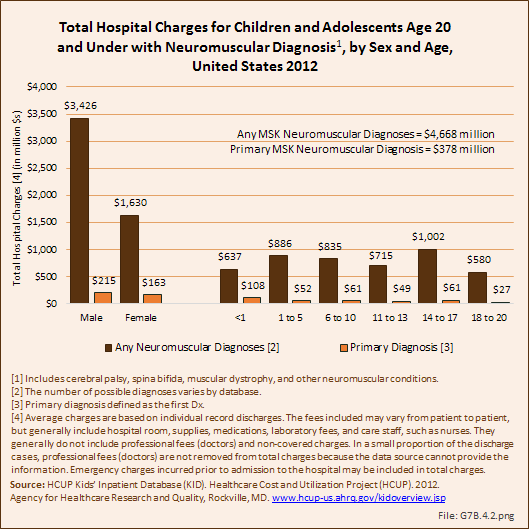 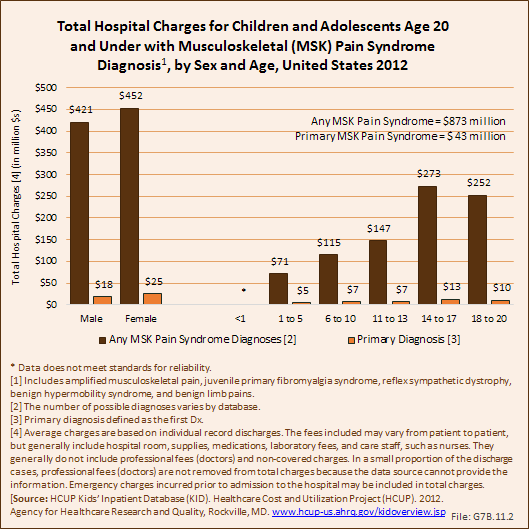 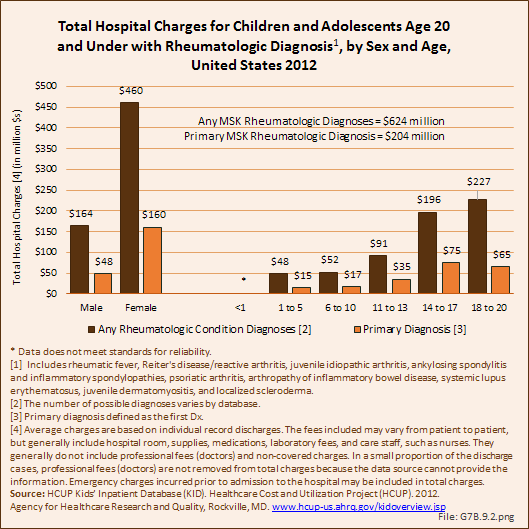 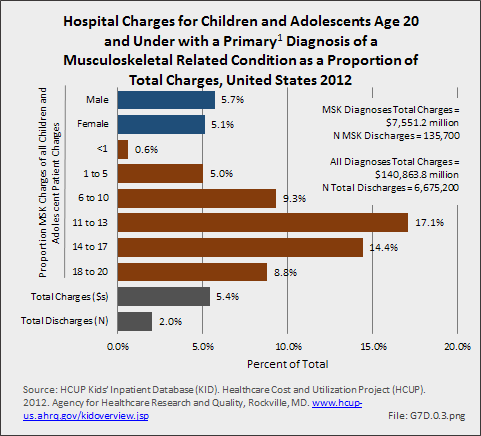 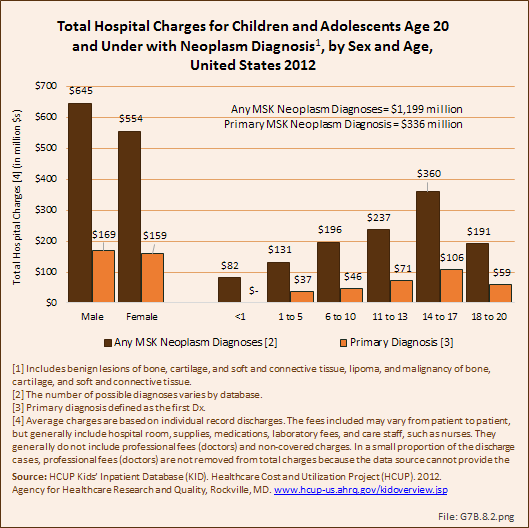 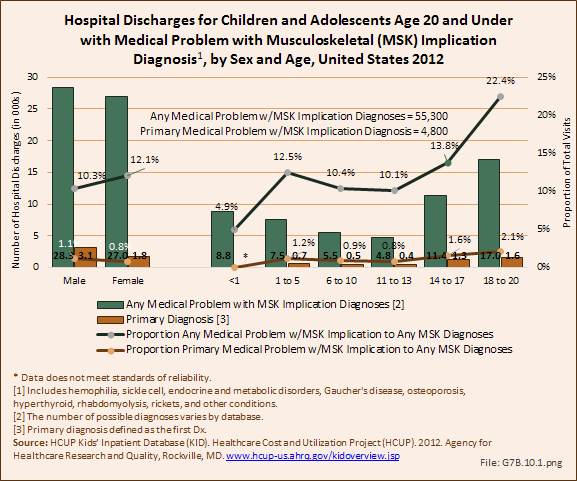 Better methods for quantifying indirect burden of pediatric musculoskeletal disease is needed. 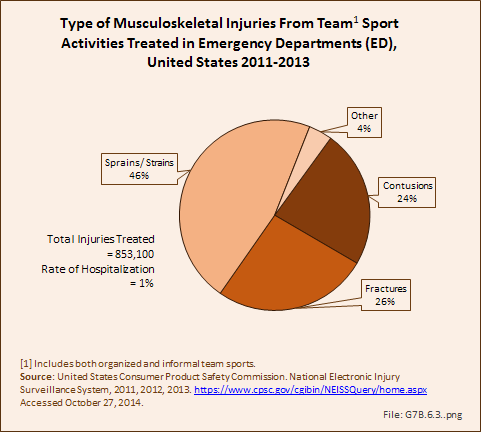 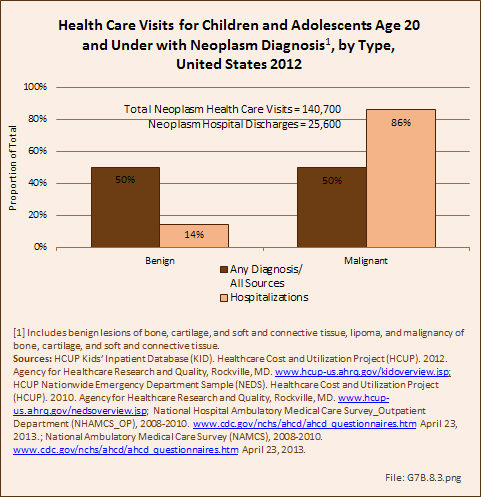 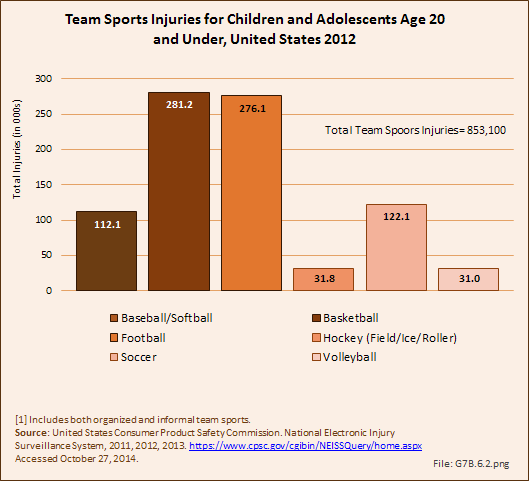 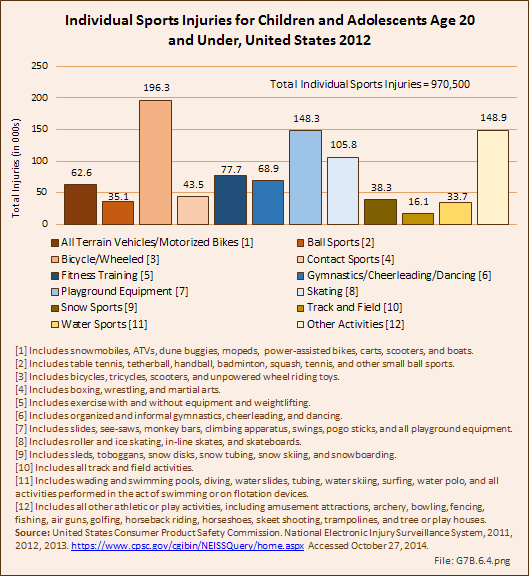 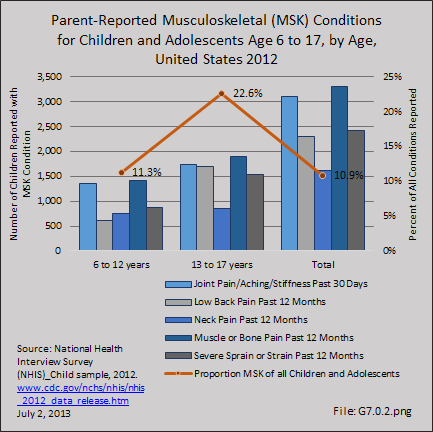 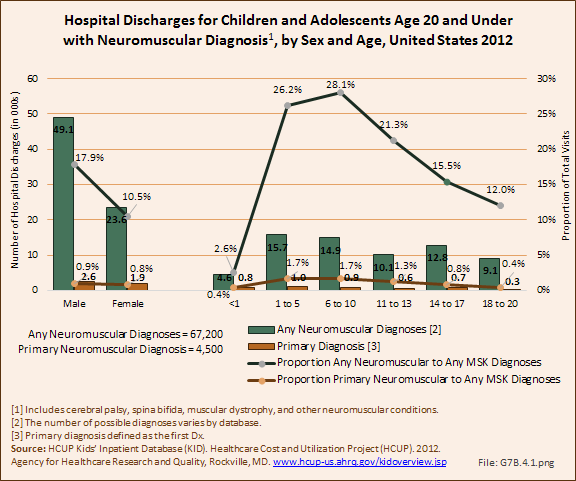 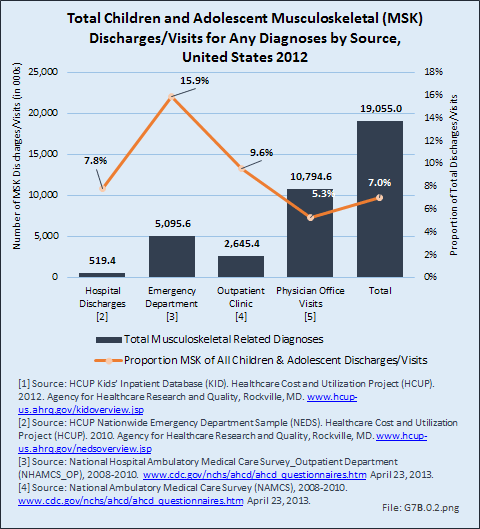 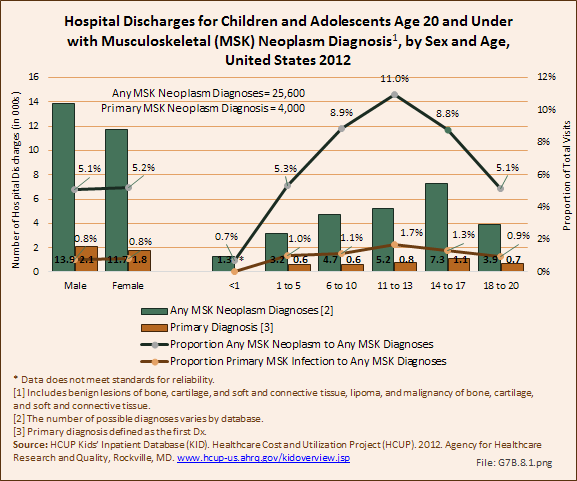 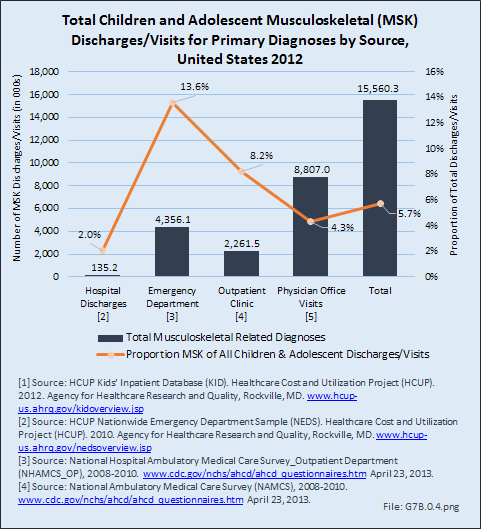 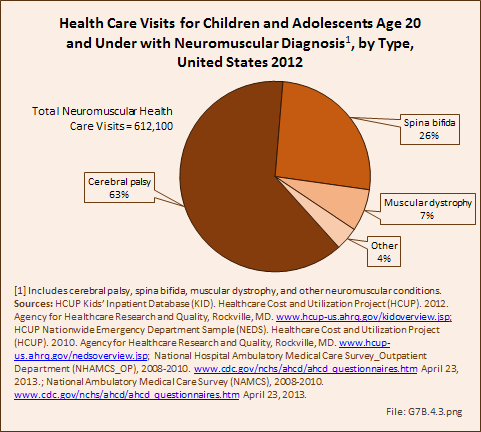 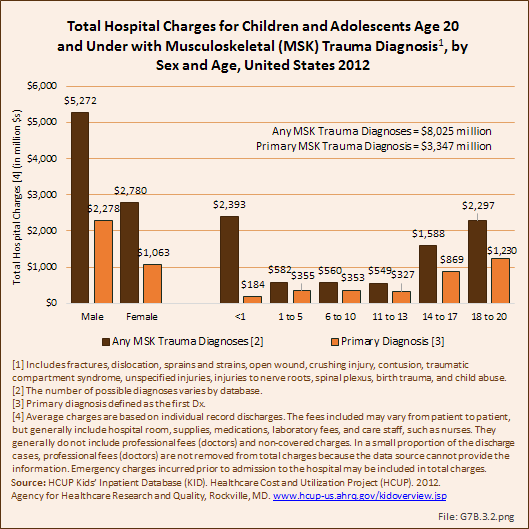 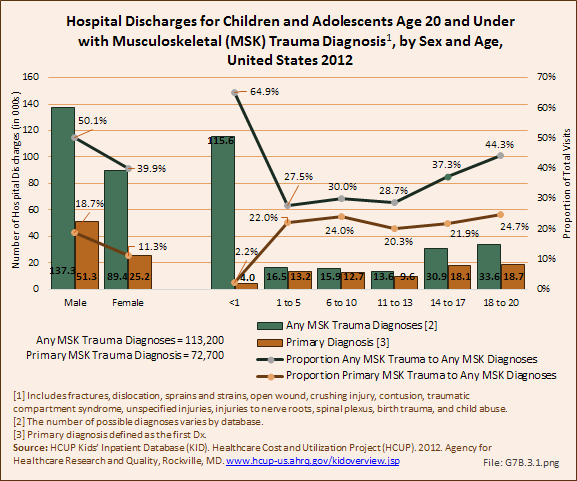 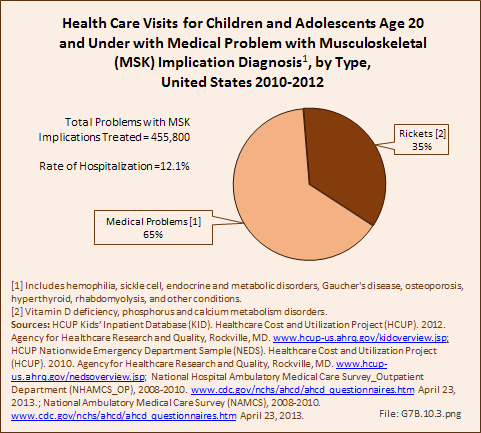 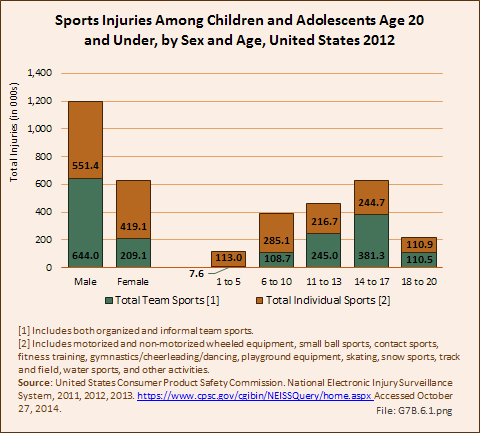 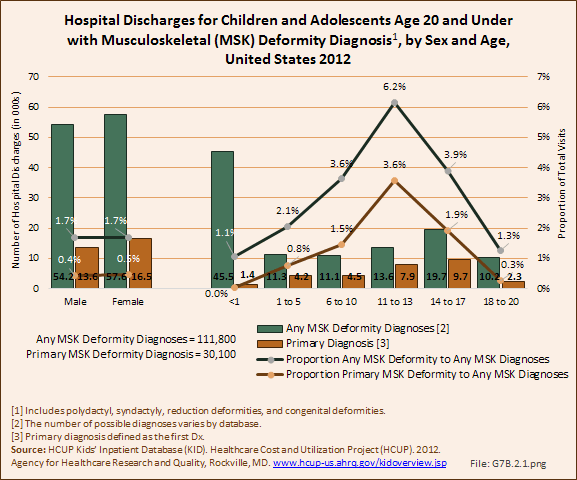 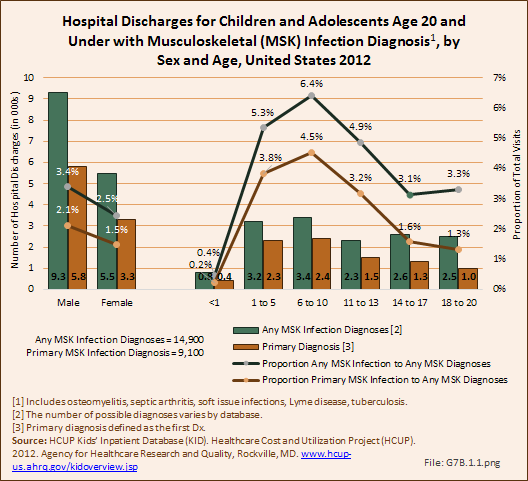 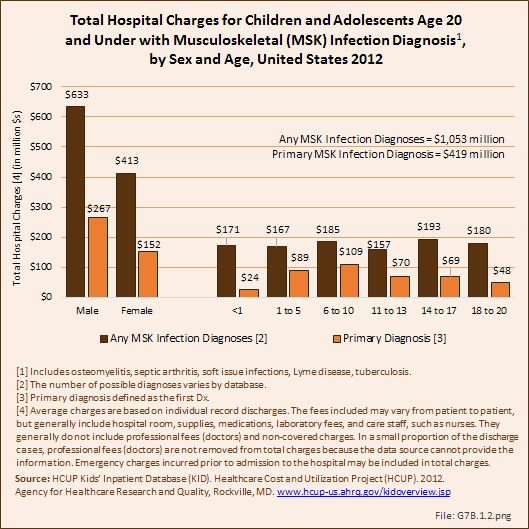 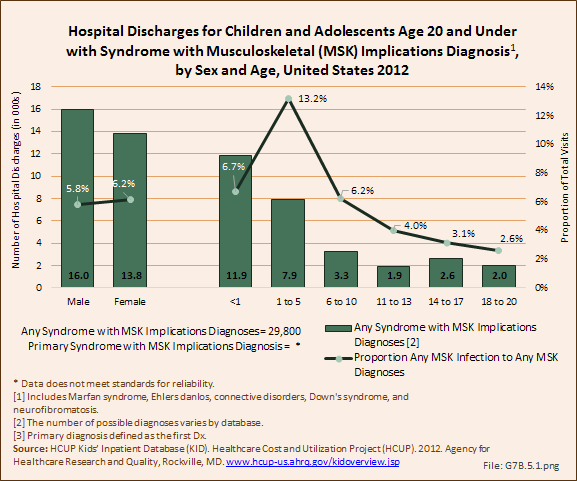 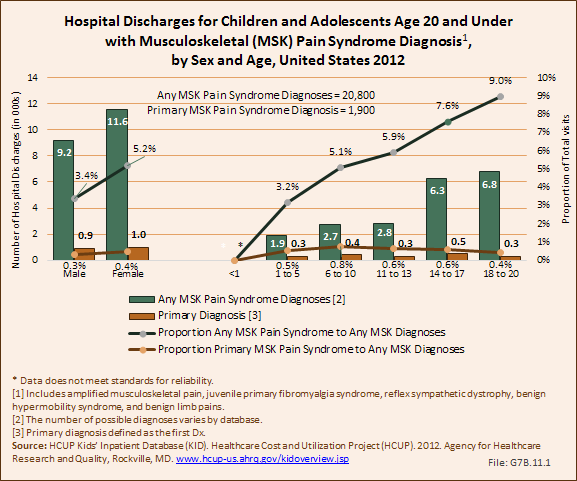 Better long-term follow-up data on pediatric musculoskeletal conditions is needed. 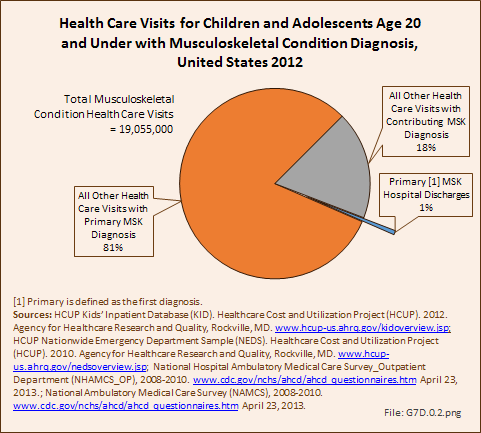 Once patients reach adulthood, it becomes difficult for the physician who cared for their musculoskeletal conditions to keep track of them. 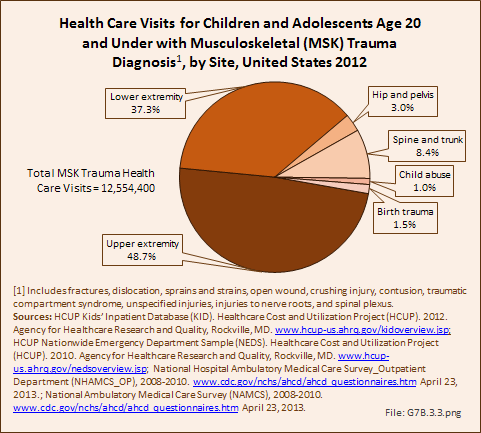 This results in difficulty understanding adult manifestations of pediatric musculoskeletal conditions. 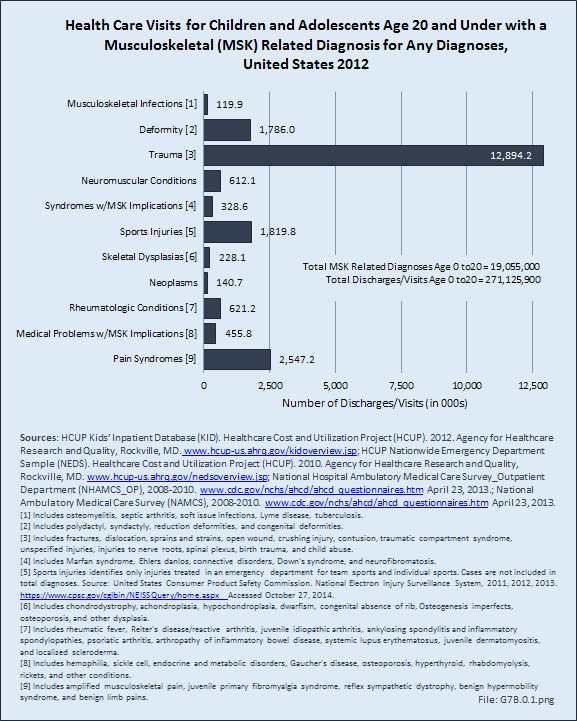 Recent international disasters such as the 2004 tsunami in the Indian Ocean and the 2010 earthquake in Haiti each affected hundreds of thousands of people. 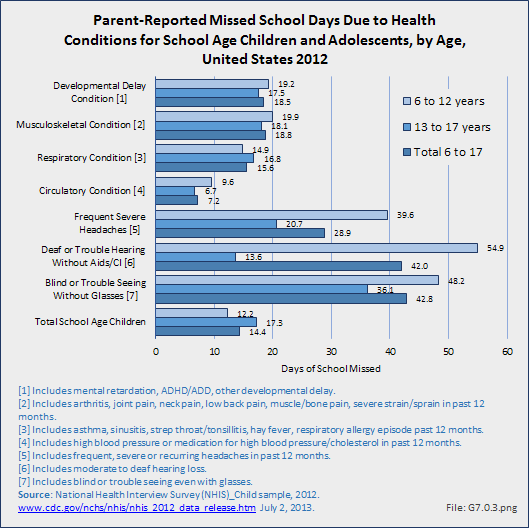 International disaster relief efforts need better planning for providing relief specific to children.